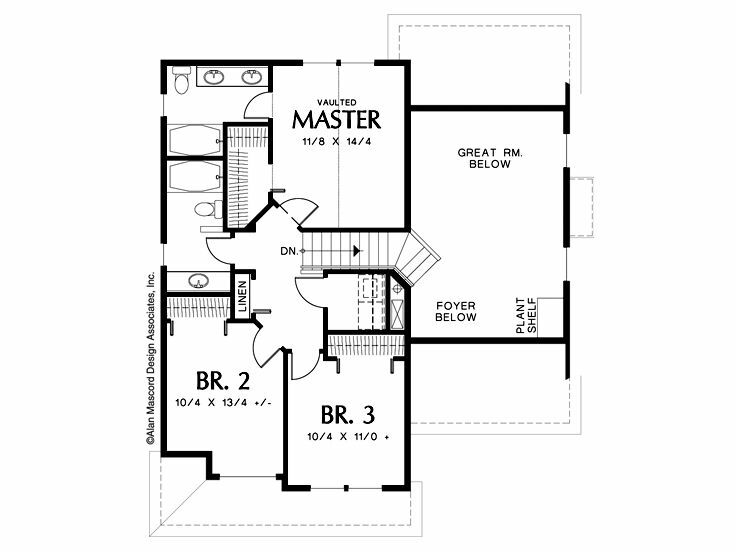 First Floor 716 sq. 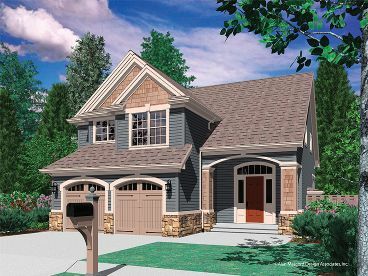 ft.
A trio of gables and an arched porch entry mix with carriage style garage doors and a multi-material façade creating a charming exterior for this small and affordable Craftsman home plan. 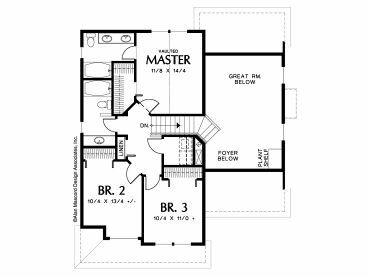 Even with a compact footprint especially suited for smaller lots, it offers all the amenities important to today’s sophisticated homebuyer. 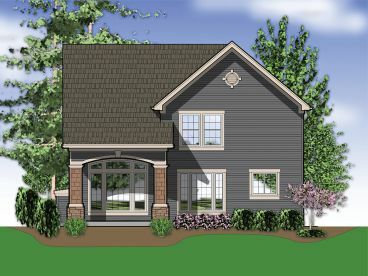 From the entry a wall of windows draws the eye through the spacious two-story great room, graced with a fireplace, and out to the rear, covered porch. A French door to the porch is located in the adjoining dining room along with a planning desk and a large pantry. 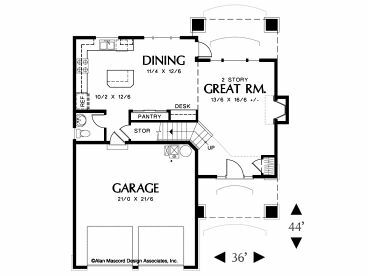 This space spills over into the kitchen where the family will gravitate to the island with breakfast bar, perfect for quick meals on the go and conversations with guests as meals are prepared. Unloading groceries is a breeze with a direct path from the two-car garage into the kitchen. 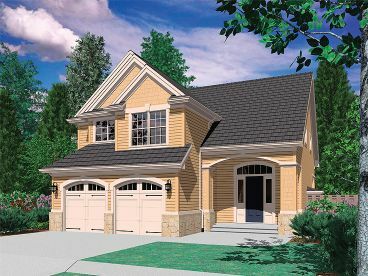 Upstairs, the vaulted master suite enjoys a walk-in closet and private bath. 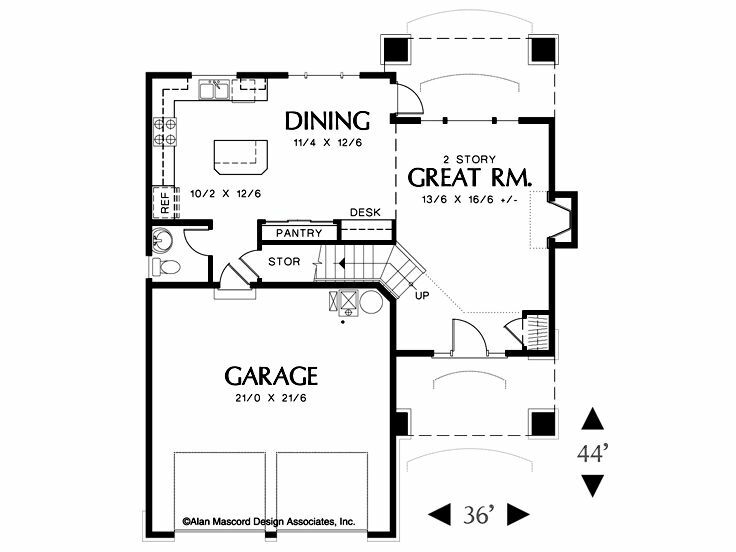 Two additional bedrooms and a utility room round out the second floor. Budget conscious in design, this two-story narrow lot home plan delivers, comfort, elegance and charm in a floor plan that is packed with surprises.